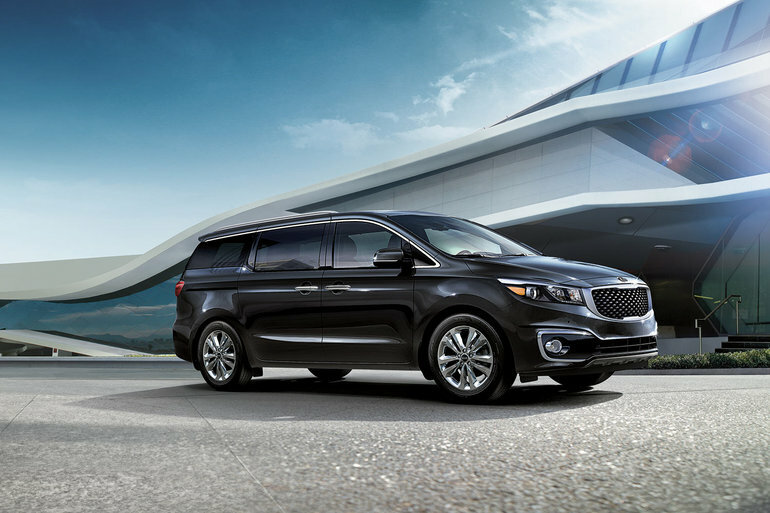 With the new 2018 Kia Sedona, family getaways have never been so enjoyable! With great performance that doesn’t sacrifice safety, the Kia Sedona redefines the concept of the family vehicle. At Waterloo Kia, there’s nothing more important than the safety of you and your loved ones. With the 2018 Kia Sedona, you'll be able to hit the road with confidence. Capable of seating up to eight passengers, the 2018 Kia Sedona is equipped with a host of technologies that make traveling on board excessively safe. Every version of the Sedona offers a rear-view camera and a Bluetooth hands-free connectivity system for safe use of your cell phone on board. In addition, the 2018 Kia Sedona is also available with a 360-degree rear-view camera, rear-cross traffic alert, blind-spot monitoring in addition to stand-alone emergency braking that is designed to prevent accidents even if the driver is distracted. The Kia Sedona is not just safe, it’s also fuel-efficient and very spacious. Driven by a 3.3-litre six-cylinder GDI engine, the 2018 Sedona makes no compromises on performance. Developing a stable of 276 horses and a hefty 248 lb-ft of torque, the Kia Sedona will give you plenty of reason to hit the road. A six-speed automatic transmission is used to handle all this power. With a towing capacity of 3,500 lb, the Kia Sedona will have no problem towing. Available from $27,995 at Waterloo Kia, the Sedona also stands out with an impressive fuel economy rating of 12.9 L/100 km in the city and 9.5 L/100 km on the road. Want to know more about the 2018 Kia Sedona? Visit us at Waterloo Kia today!